The first thing we thought of when returned home from this years holiday is “Should we go abroad next year with a baby”. We didn’t take Lily abroad until she was 2 and when we did we wished we had done it sooner. She was amazing on the plane, amazing round the airport (even when getting strip searched) and was amazing the whole week we were away. She lapped up the adventure, new experiences and being somewhere new. One of our biggest concerns about going away next year with the baby too is in relation to feeding. With Lily I had a struggle Breastfeeding and in the end I gave up after 3 weeks at the request of the midwife and began bottle feeding. Our fear was how would we cope with bottle feeding whilst abroad. When Milton got in touch and asked if we would like to review their cold water steriliser I thought that this could be just the solution we were looking for. The Milton Cold Water Steriliser is very easy to use. The Milton Cold Water Steriliser has a large 5 litre capacity that can hold up to 6 bottles. It can also be used to sterilise other items as and when needed such as dummy’s, teething rings, plastic toys etc. 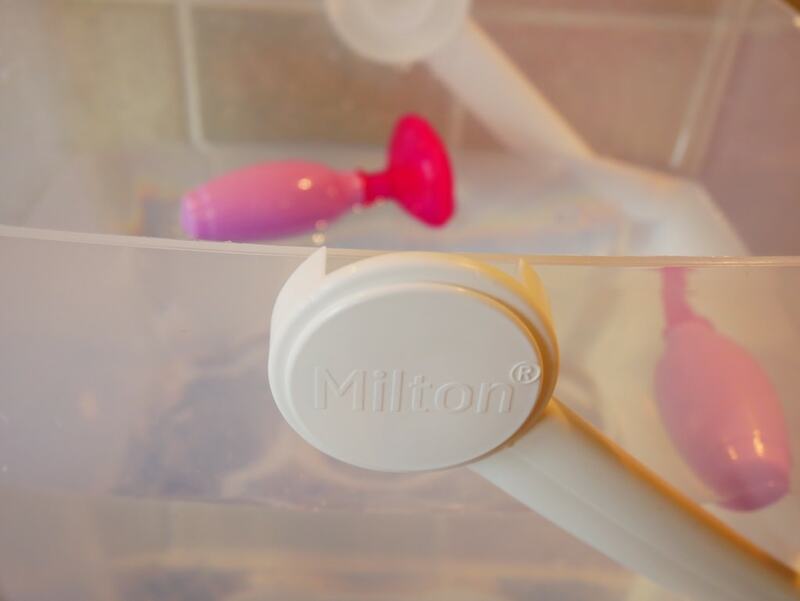 To use the Milton Cold Water Steriliser simply wash the bottles and teats and rings in hot soapy water then rinse in cold water. Fill the Milton Cold Water Steriliser to the 5litre line then either add 1 Milton Sterilising Tablet or 30 ml of Milton Sterilising Fluid. 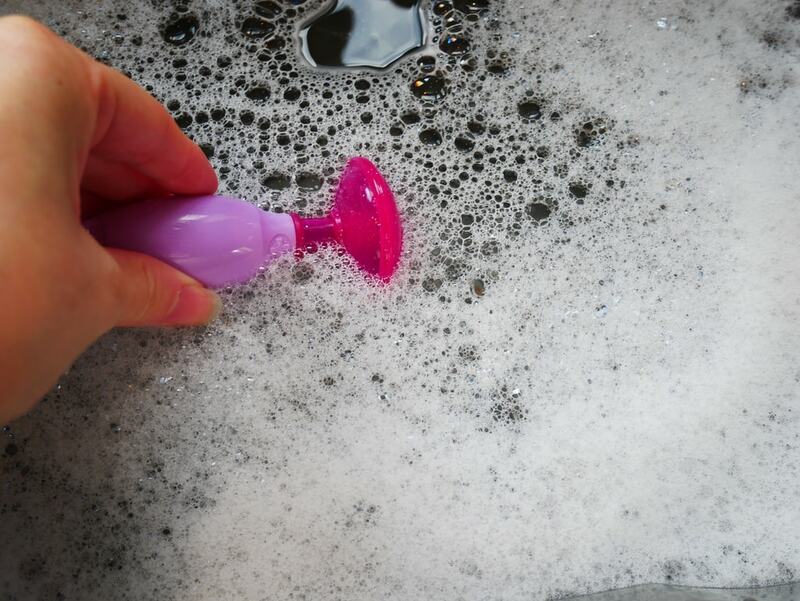 Fully submerge everything into the Steriliser to release any air bubbles. Screw on the integral submerged making sure everything is still fully submerged. Screw on the kid and press the vent down. The items will all be ready to use in just 15 minutes and will stay sterile for up to 24 hours. There is no need to rinse items before use. The solution will stay sterile for 24 hours so if you need to pop anything in during that time you can just submerge it and leave it for 15 minutes. We are now confident in our ability to feed the baby on the move and at home! We are really happy with the Milton Cold Water Steriliser. Milton also have a handy on the go dummy Steriliser and a 3in1 antibacterial surface spray to help keep your kitchen germ free. Disclosure: We were given the Milton Cold Water Steriliser for free in exchange for an honest review.